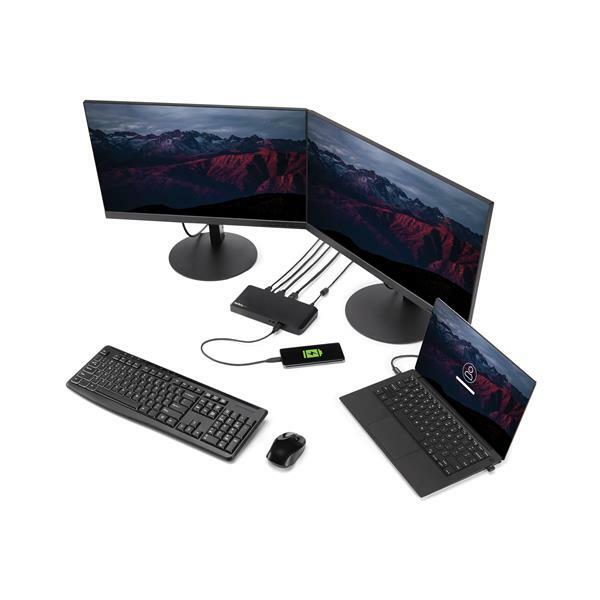 This USB-C dock lets you connect dual monitors with flexible options, and with no display driver setup. 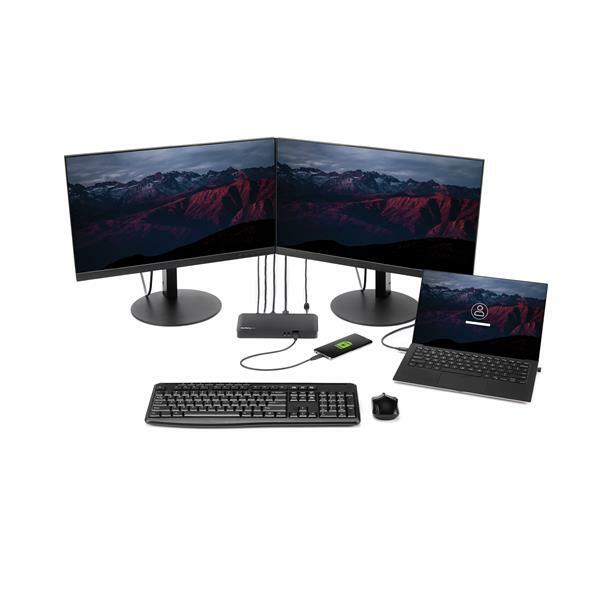 You can also connect to a single 4K HDMI or DisplayPort display. 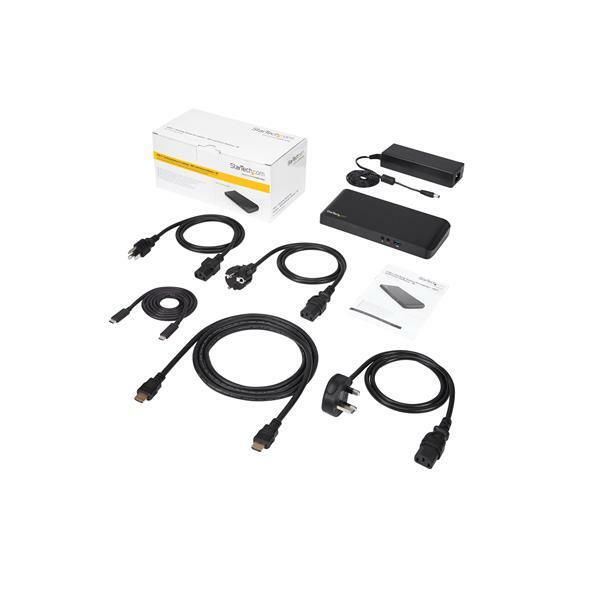 The included 3.3 ft. (1 m) long USB-C cable makes it easy to position your laptop and improves the video signal quality. 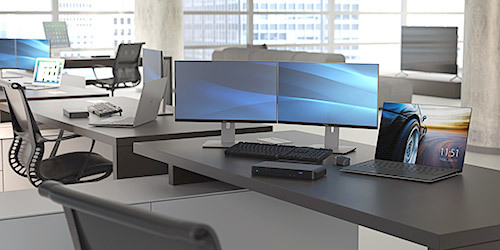 USB Type-C™ dock gives you plenty of ports with four USB 3.0 ports, a reliable Gigabit Ethernet port and easy connection to the microphone and headset ports. 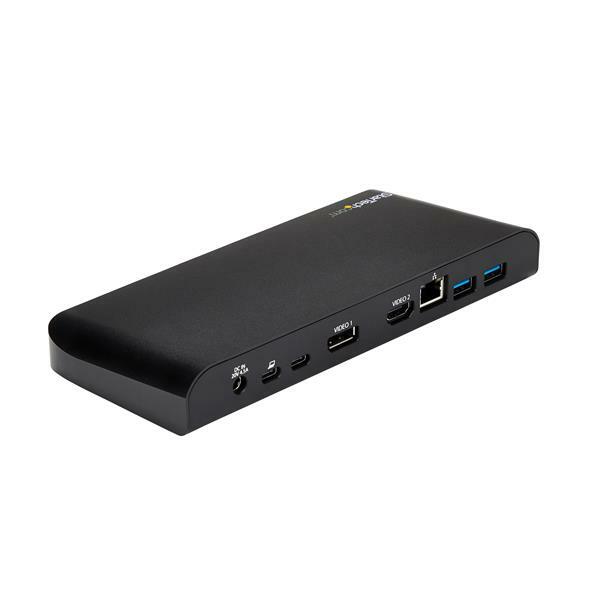 Connect flash drives, keyboard, mouse or external hard drives using the three Type-A ports (including one Fast-Charge port). 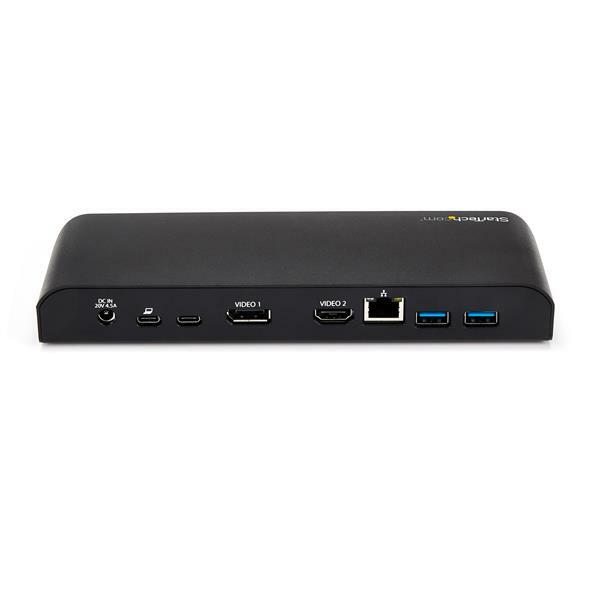 Connect a USB-C device with the USB-C port. The USB C docking station with Power Delivery will power and charge (up to 60W) your laptop, while powering your devices. 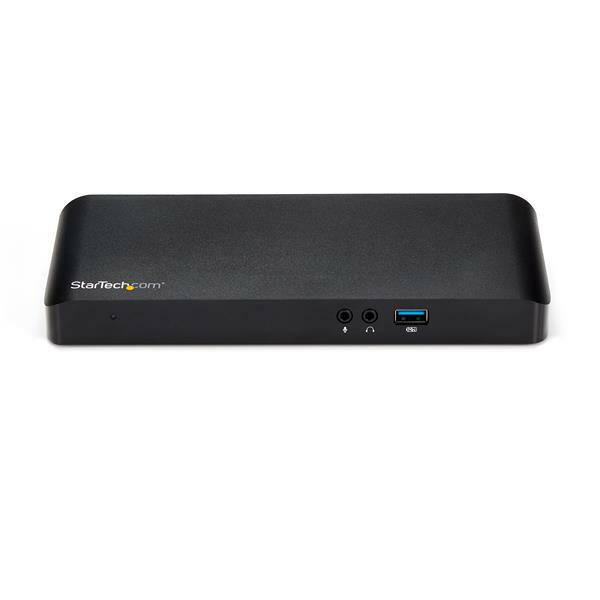 The MST30C2DPPD is backed by a StarTech.com 3-year warranty and free lifetime technical support. Not all USB-C ports support the full functionality of the USB Type-C standard. 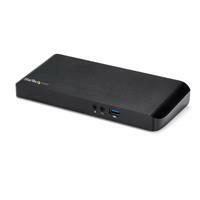 Ensure that your laptop USB-C port supports DP Alt Mode and USB Power Delivery.